Our thanks go to Trish Windmill and her band of helpers for organising the first Liverton Community Lunch last Sunday at Blackpool School. This was attended by nearly 80 people from across the community. Everyone commented on how nice the school was and what a lovely atmosphere it provided. 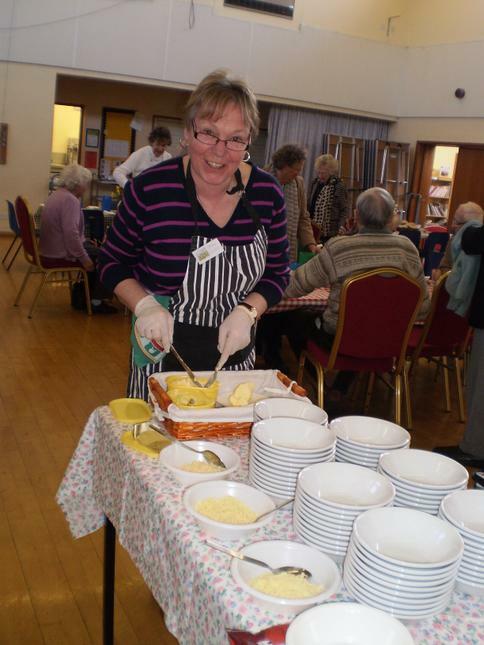 Sonja Stafford, our Kitchen Manager prepared some lovely soups which, together with a selection of puddings donated by St Michael's, meant that everyone left well fed. 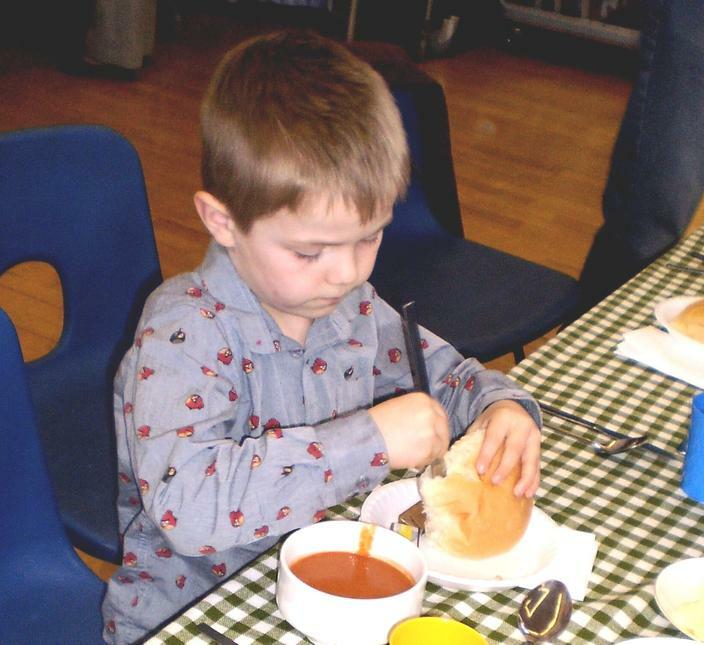 In addition to the Liverton Community Lunches we also host Liverton Praise at Blackpool School, where we have a Service followed by family tea.This is again for the whole community to come and enjoy at 4pm for 4.30pm on the following dates: Sunday 27th April, Sunday 22nd June, Sunday 28th September, Sunday 23rd November. On Thursday 18th December we will host the Community Carol Service. We would love to see you all there.